This is where clothing brands really set themselves apart from one another – in their attention to details. Most clothing companies will stand for something, whether that’s mass manufacturing, bespoke creations, limited editions, high end design or specific genre graphics, whatever it is, you can generally tell what kind of label it is by what kind of label they use. We believe that even though it’s just giving general information about the type and care of the garment, it can and should, still make a statement (literally!) and reflect the brand’s identity. If you haven’t considered internal labels or not sure what they must include, read through below for the low down and set yourself apart in the industry. It’s professional. Do you really want your clothing to have the garment manufacturer’s logo on the inside? Note: Some garment manufacturers insert a separate internal garment care label (usually found on the internal, left-side seam of garment) that displays the origin, material and care instruction. 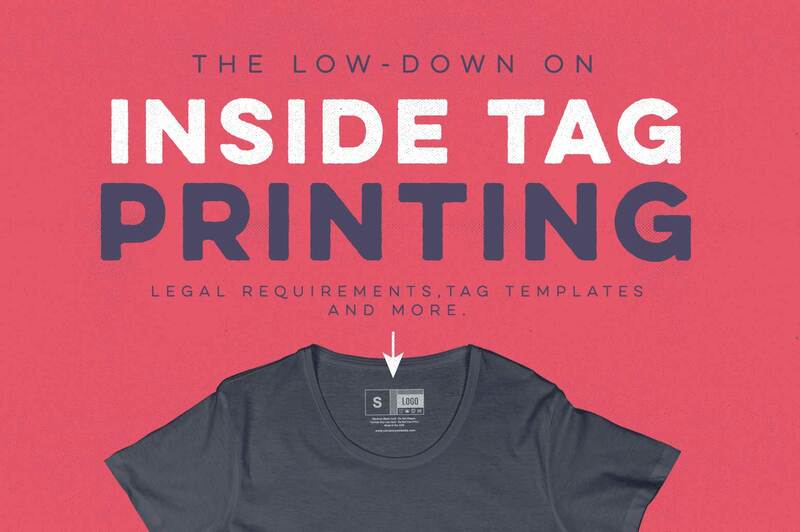 In this case, printing the material and origin of the garment in the neck tag becomes optional. Be mindful though and consider your target audience and the impact these details can have on your overall identity as a brand. On the existing neck label before you cut it out. 21 internal tags to get your Creative inspiration on! Printing dark ink colors on light shirts will render the artwork semi visible from the outside of the shirt. Our recommendation is to use a mid to light grey ink instead, the bonus here is that if you have light and dark garments you can print mid grey on both saving printers time in having to switch out print colors (which takes time), saving you money in labor costs. Win! Silk screens used in the screen printing process have a limit to the fine details they can produce. Keep fonts on the bigger side of the spectrum to avoid the text being illegible, remember size, origin and material used are legal requirements so if this information can not be read you will be in violation of law. Still not sure where to begin? Here at PPTk we have you covered for everything print and apparel, from conception to creation!